2. Why Choose Exuma to Buy Your Home? 4. Can Expats Buy a Property in Exuma? 7. Can I Obtain Finance on a Property in the Exumas? 8. Do You Need a Visa to Live in the Exumas? 9. How do you Obtain a Residency Card to Live in the Exuma Islands? Belonging to the Bahamian archipelago, the Exumas is a long stretching expanse of 365 cays. The district of Exuma is renowned for its stunning turquoise water, powdery soft beaches and lush vegetation. With an abundance of natural beauty and enough cays to visit one each day of the year it's easy to see why the Exuma islands are such a desirable place to own a home. Exuma is split into 3 different areas: Great Exuma, Little Exuma and the Exuma Cays. Great Exuma and Little Exuma are associated with relaxed island living and are popular tourist destinations, while the Exuma Cays are known for their luxury private homes and private islands. The main settlement in Exuma is George Town, which is home to a variety of shops and amenities. Exuma International Airport (GGT) is a 30 minutes drive from George Town and has regular arrivals from Atlanta, Toronto and Nassau. The Exumas benefits from a tropical climate with year round warm temperatures. The average temperature in summer is approxiately 24 °C / 75°F, with the temperature around 18°C / 65°F in the winter months. There are so many reasons why people buy a home in Exuma, many come to visit our cays and fall in love with the pristine natural beauty and relaxed way of life, while others prefer the active lifestyle; with sailing, golfing, fishing, watersports all popular pastimes here. It is understandable why so many choose our cays to purchase a vacation home, an investment property or even make the permanent move to paradise. Exuma has direct flights from Atlanta, Florida and Toronto, with many connecting flights changing at Nassau also. Before viewing properties, a private island or a lot of land it is worth collating a list of what you are looking for from your purchase. What are your non-negotiables and what are you more flexible about? For example, do you have your heart set on a particular cay or are you open to viewing various locations? Are there amenities that you need to be close to? For example, is a sea view a must or perhaps privacy is your priority? It would also be worth considering your budget, the number of rooms you require and the style of home you prefer. Do you require finance for your purchase? (See section 6 of this article for more information on how to finance a home in Exuma). 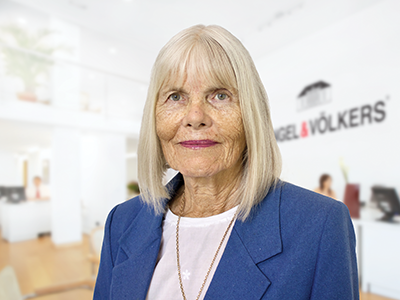 Share your list with one of our expert Engel & Völkers Real Estate Advisors, whom would be more than happy to answer any questions that you have and can advise you on property availability based on your criteria. Click here to meet our team or here to contact us. There are no restrictions on foreigners buying property in Exuma. The International Persons Landholding Act (1994) replaced the Property Act (1981), which made the process for foreigners buying property in the Bahamas easier. A government permit is required if you are purchasing more than 5 acres of land, if the land is undeveloped or it is being purchased for commercial use. If it does not fall into the aforementioned categories then the property only needs to be registered with the investment board and Central Bank. When you have found the right property and you are ready to purchase, a lawyer is highly recommended work alongside your Engel & Völkers advisor to prepare all documents ready for sale. A lawyer will also check validity of the title and check encumbrances (your advisor will be able to recommend a lawyer if you do not have one pre-arranged). If you require finance for your property then your advisor would organize an appraisal of the property for the lenders. When the sale price is agreed, your lawyer and the vendor's lawyer will prepare a detailed contract of sale. A 10% deposit will be required alongside signing the contract to reserve the property. Your lawyer and advisor will make sure everything is in order ready for the completion date, which will be pre-agreed with you in advance. On average it would take around 8 weeks, however when finance is required the process can take longer. Please note, each property sale and circumstance is different so 8 weeks is an average rather than an exact timeframe. Property that is owned by Bahamians and situated in the Family islands. Property approved as commercial farmland (by the Minister of Agriculture and Marine Resources and the Minister Finance) may be eligible for property tax exemptions. Unimproved property owned by Bahamians (property without any physical additions or alterations or any works benefiting the land, which have not increased the value thereof by $5,000 or more. Places of worship, school buildings, gardens and play areas. Property owned by foreign nations and used for consult offices or residences of consular officials and employees. Property used exclusively for non-profit charitable or public services. Yes expats can obtain finance in the Exumas. Generally, a 30% deposit is required to qualify for finance. In accordance to the Housing Act, the lenders you choose must be pre-approved by the Minister of housing here in the Bahamas. Here is a link to all pre-approved lenders. You advisor will be able to help with any questions you may have regarding finance. 8. Do you need a visa to live in Exuma? Citizens of the USA, United Kingdom and Canada do not require visas providing their stay does not exceed 3 weeks and that they have a return ticket to leave the Bahamas. US Citizens no not need visas if their stays are less than 8 months. Bahamas Immigration Department permits are required if an individual wishes to reside, work or engage in any business in the Bahamas. Non-Bahamian property owners can apply for a homeowner's residency card. These are $500 per year. The resident cards allow families to enter and leave the Bahamas and to freely live there. There is also an additional $100 processing fee per applicant. There are no restrictions on expats buying property in the Exumas with the view to renting them out. In fact, renting out your property can offer a fantastic income on the Exuma Islands as it is a very popular location for vacations. There are no government restrictions on rental amounts and these can be freely negotiated between landlord and tenant. Owner occupied rentals are homes that are used by the owner as a dwelling houses on a permanent or seasonal basis. Owners of such properties with more than one bedroom are required to collect a 6% hotel guest tax from their tenants. Licenses to rent this type of property must be obtained through the local Family Island Administrator Office, or the Hotel Licensing Department of the Bahamas Ministry of Tourism and Aviation in Nassau, Bahamas. The infrastructure in the Exumas is ever expanding and adapting to the needs of its residents. The island has become easier to access with the regular international and national arrivals from Exuma International airport. Once in Great Exuma, there is cable, reliable telephone lines and Internet, sewage removal, clean water and electricity. The Exumas is also passionate about recycling and has its own recycling center. Below is some information that may be useful when planning to move to the Exuma islands. If you have any further questions, click here and one of our experienced advisors will be more than happy to assist you. The currency in the Exumas is Bahamian dollars (BSD), which operate at a like for like exchange rate as the US dollar. Situated 15 miles north west of George Town, Exuma International Airport receives regular arrivals from Atlanta, Florida, Toronto and Nassau. Our mission is to provide the highest quality real estate service for luxury real estate in Great Exuma and The Exuma Cays. We invite you to join our social media sites to get the most up to date news, information and market. For immediate real estate services that demand a quick response, experienced strategy and creative solutions our professionaly licensed brokers and advisors are ready to serve you. Please enjoy searching our listings. Meet Jenny Kettel our expert real estate advisor in Exuma. Jenny has 15 years experience in the real estate industry and originally joined Bahamas Waterfront Properties (now Engel & Völkers Bahamas) in 2007 as sales executive for Great Exuma. She is a graduate of Harvard University, a Justice of The Peace and has served on the local government board in Exuma for many years. Jenny is deeply involved with the wider community and along with her husband Chris founded the Exuma Foundation, which has successfully supported a diverse list of educational initiatives. Over the years, Jenny has developed a large following of very loyal clientele who buy and sell some of the finest waterfront property in the Exumas. She is always generous with her time and information and values assisting the needs of real estate enthusiasts who are keen on making Exuma their permanent or part-time home. Engel & Völkers is one of the world's leading service companies specialised in the sale and rental of premium residential property, commercial real estate, yachts and aircrafts. Based in over 700 locations in total, Engel & Völkers offers both private and institutional clients a professionally tailored range of services. Leasing, sales, consultancy and valuations form the core competences of the staff of more than 8,500 employees. The company is currently operating in 32 countries on four continents.